Make a statement with Himalia! A tan coloured bonded leather bedstead, giving a unique retro look. 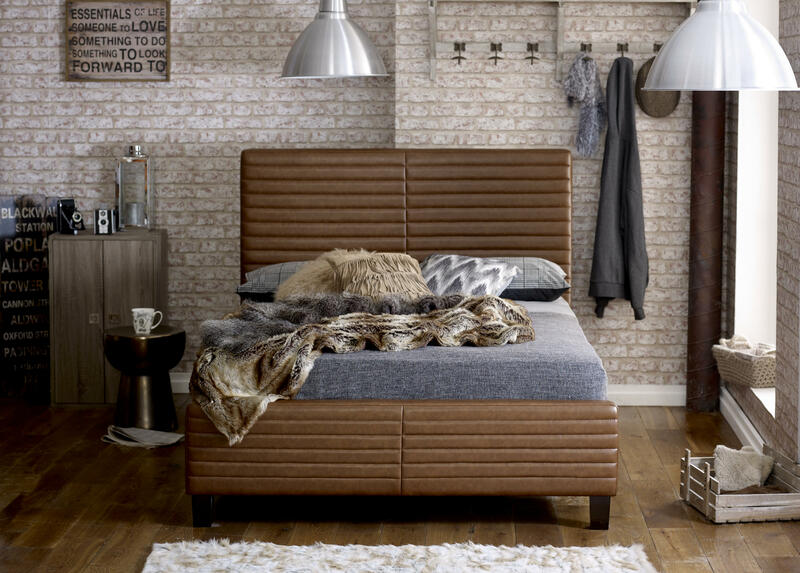 With it's tall hotel style headboard, and sprung slatted base for extra comfort he Himalia is the perfect addition to any bedroom.